Complete kit containing everything you’ll need to get you started in the absorbing & addictive craft of bookbinding. All the tools and materials contained within the kit have been carefully selected by our professional bookbinder & tutor Mandy Flockton. 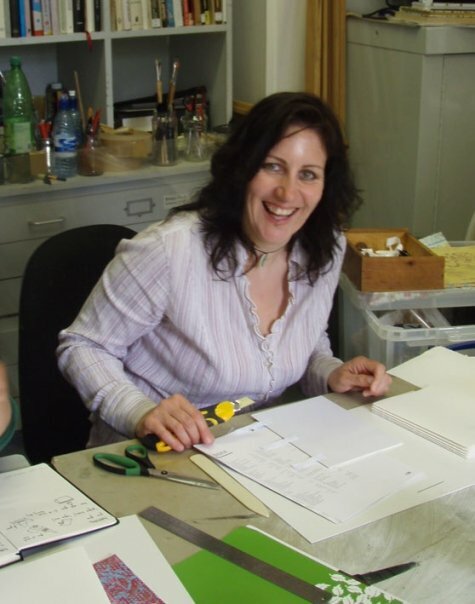 I’m able to instruct you in many different methods of traditional bookbinding here at Learn Bookbinding. Ranging from my popular Introduction to Bookbinding workshop to advanced Quarter Leather Binding. 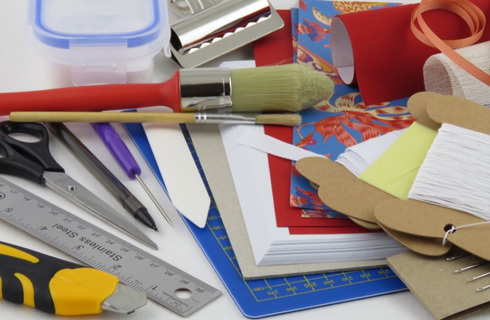 Complete kit containing absolutely everything you’ll need to get you started in the absorbing & addictive craft of bookbinding. 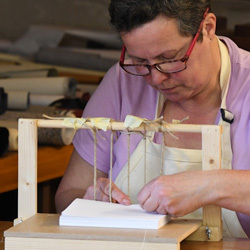 My bookbinding lessons are perfect for a beginner looking to get into the ancient craft, or ideal for someone looking to brush-up on their existing bookbinding skills. More than 15 years of experience in bookbinding and teaching workshops have gone into the selection of equipment and materials in my shop. 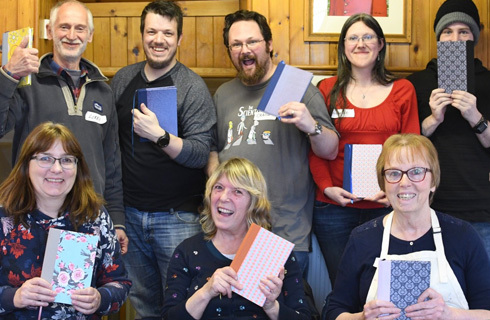 From simple casebound A5 notebooks to luxury quarter-leather journals, I offer a wide choice of Bookbinding Workshops here in my North Devon studio. To view the workshops I currently have scheduled, click the button below. If you’re not able to make it to one of my bookbinding workshops, my Bookbinding Kit is what you’re after! Containing every single item needed to produce beautiful books, you’ll be able to follow my in-depth illustrated instructions and create your own books at home on your kitchen table in no time at all. I first became interested in bookbinding at university while studying illustration. As an illustrator of books it was natural for me to want to make my own. Having the ability to bind my own books meant I was able to present my ideas to publishers as a high-quality, faithful representation of the potential published book (which is essential as a Children’s Author-Illustrator). I also became interested in self-publishing my own work as short-run batch productions and selling them via book shops and zine fairs. I learned to bind books as a student and I was aware at the time of the difficulty and expense in locating the ‘correct’ tools and materials. 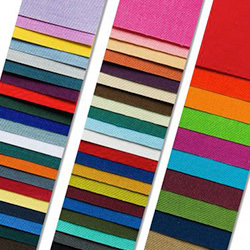 These problems lead me to take traditional bookbinding techniques and develop them in a way that makes bookbinding more accessible to everyone. I have been teaching my unique, user-friendly workshops for over 10 years in educational institutions and to the public and they are always enthusiastically received. I look forward sharing my craft with you soon! 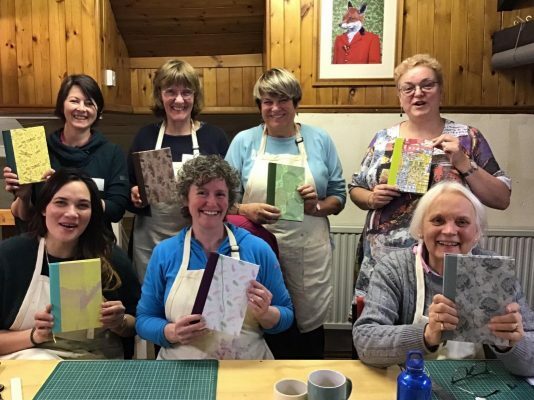 Don’t take my word for how much fun my bookbinding courses are, read what my students have to say about them in the testimonials below. I was so impressed with the book I made, it looked just like a bought one … I never thought I’d be able to make anything like that! Thank you for the best day-course I have ever attended. I hoped I might at least learn enough to restore a much loved book, not only did I learn that knowledge, I also came away with a new hobby. The workshop I attended I was really well organised and the instruction was so clear. Mandy was so patient and helpful. I have two, no wait, three sketchbooks made by Mandy Flockton. They are treasured items with astonishing attention to detail. A pleasure to draw in, they are all filling up! 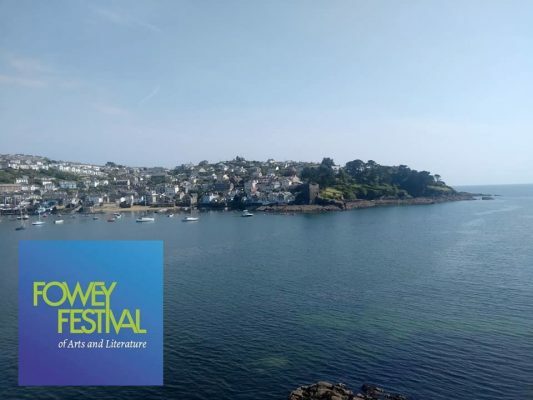 Having been bought this course as a present by my niece I was delighted that not only was the day thoroughly enjoyable but I’ve also made a couple of new friends. I loved it! I love trying new crafts and this was like nothing else I’d ever done. Mandy made everything so easy to follow and I can’t wait to make more books. I know what I will be giving for Christmas this year! 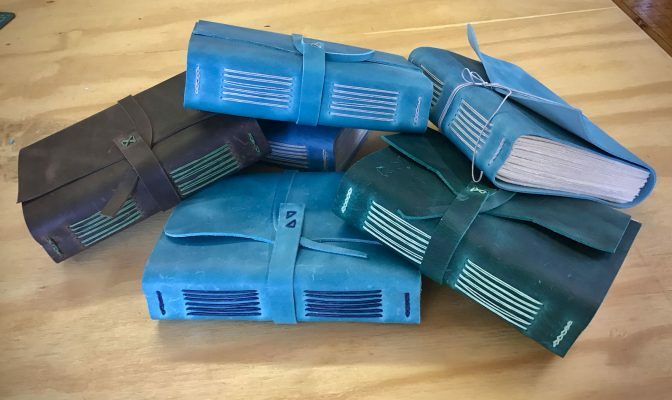 Have a scroll through my Bookbinding Blog where you’ll find updates about my scheduled workshops, bookbinding tips and photos submitted by my students showing off their beautiful books! 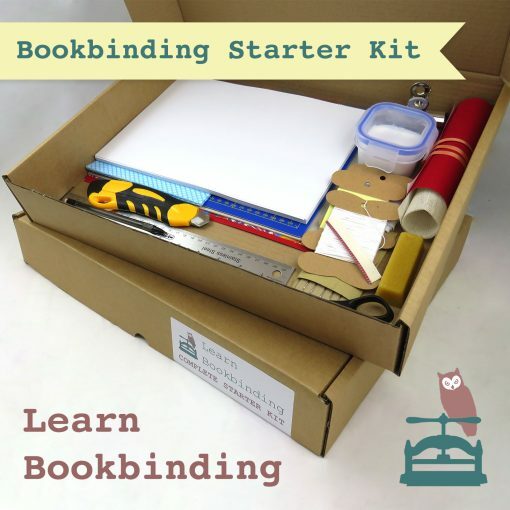 Complete kit containing everything you’ll need to get you started in the absorbing & addictive craft of bookbinding.